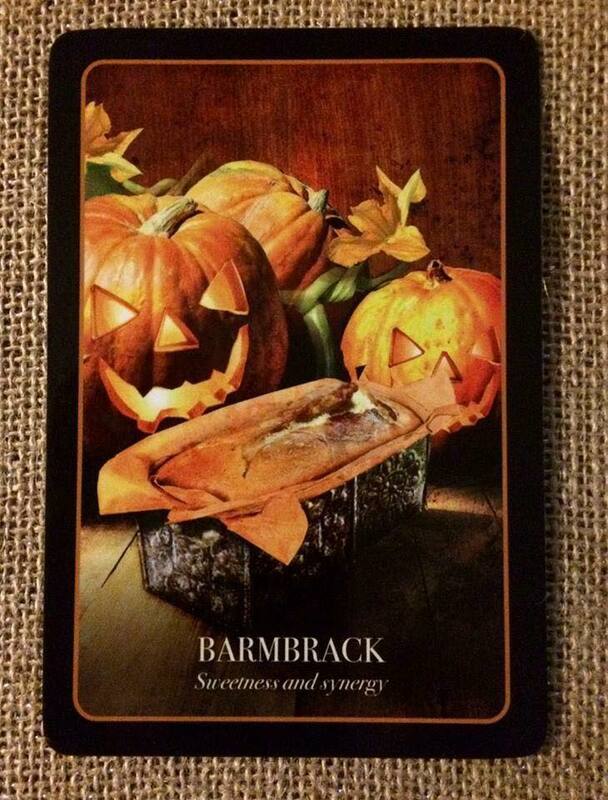 I love the balance of this card: An oracle for the future and sustenance and sweetness for the present. Blessings on your new week! Not quite a cake and not quite a bread, barmbrack is a sweet loaf, larger than a typical bread loaf, baked with flour, sugar, salt, and dried fruits such as raisins. The making of barmbrack is an Irish tradition that still stands around Samhain. The person baking the loaf would be sure to set the intention for love, truth, and synergy whilst preparing. Inside the dough, a number of special objects are hidden and baked into the loath.